The immigrant rights movement grew out of the fight for economic justice. 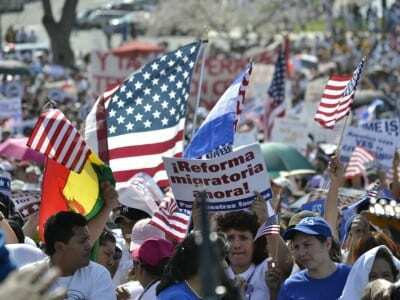 Fifteen years ago, grassroots groups gearing up to change welfare reform realized that economic justice could not be won without wage equality and worker protections for undocumented immigrants. The new millennium saw an increase in vitriol directed against immigrants, who often were blamed for the fact that – whether the economy was up or down – for most people, the opportunity for a solid middle-class life continued to recede. In 2004, the Center for Community Change and its allies created the Fair Immigration Reform Movement (FIRM), now the largest national network of immigrant-led grassroots organizations. Many FIRM partners are immigrant-based organizations, but many are multi-issue and multi-constituency organizations. Arm in arm, they are fighting for compassionate, humane immigration reform that includes a path to citizenship and protection from unscrupulous employers that use citizenship status as a way to force workers to accept low wages and poor conditions. United around the most critical issues facing immigrant families, these organizations see the link between immigrant rights and workers rights, housing rights, and all the other things our communities need to lead healthy, sustainable lives. Our digital campaigns are driving hundreds of thousands to attend rallies and participate in the immigration reform movement, and we are enlisting DREAMers – those who came to the United States as children – to tell their stories of family sacrifice and dreams for a better life, stories that resonate in a nation of immigrants. In a movement that is transforming the immigration reform landscape, we’re joined by labor, civil rights, faith, education, LGBT, and many other communities. Please click on the photos below for examples of our work. At the heart of FIRM’s approach is the power of personal storytelling. FIRM and CCC have trained thousands of grassroots volunteers as spokespeople. Our training helps them talk to policymakers, the media and the public about how their families are being torn apart under a broken immigration system. 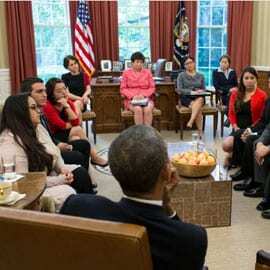 FIRM family members, some of them undocumented, met with President Obama and Vice President Biden in May 2013 at the White House to talk about their dramatic personal experiences. The President encouraged them to continue to share their stories. 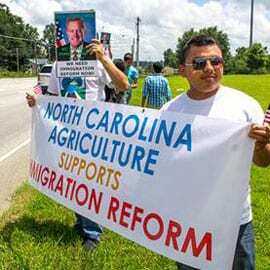 With CCC’s assistance, FIRM groups are blocking passage of brutal anti-immigrant measures at the state level and advancing pro-immigrant state laws to allow undocumented immigrants access to drivers’ licenses and in-state tuition.